Yogyakarta not only has a fascinating culture. Yogyakarta also has various local foods. You should make time to taste their delicacy. 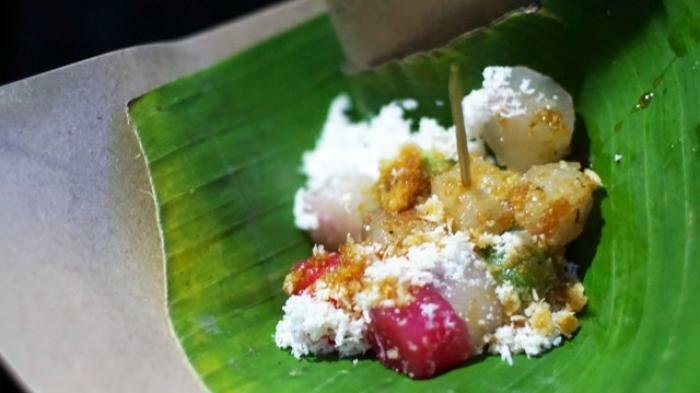 Let’s see some of must try local foods in Yogyakarta..! Gudeg is a typical vegetable of Yogyakarta whose color is brown. It is made from young jackfruit cooked with coconut milk. Gudeg is served with thick coconut milk and is eaten with rice, chicken, eggs, tofu and sambal krecek. There are various ways of serving gudeg. In addition to thick coconut milk, gudeg can also be served dry or with very little coconut milk. There is also gudeg made from coconut flowers, called gudeg manggar. Gudeg Yu Djum, Wijilan Street, No. 31, Panembahan, Kraton, Yogyakarta. Opening hours 6 am – 10 pm. The price is around Rp 30,000 per portion. Gudeg Manggar Bu Tinur, Bibis Raya Street, Bangunjiwo, Kasihan, Bantul, Yogyakarta. Opening hours is 8 am – 9 pm. The price is around Rp 30,000 per portion. Enjoying gudeg is definitely one of must things to do in Yogyakarta. 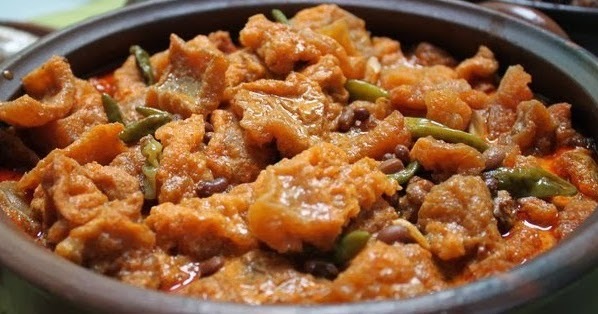 Krecek, which is made of cowhide, is a side dish that is eaten along with gudeg. 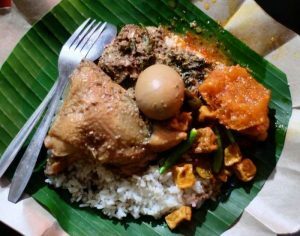 According to local custom, gudeg and krecek can not be separated. They are like moon and stars. Krecek is cooked with coconut milk and is mixed with typical Indonesian spices such as onion, garlic, cayenne pepper, galangal, bay leaf, lemongrass leaves and brown sugar. Krecek generally has a savory taste and spicy so it can compensate for the sweet taste of gudeg. Every seller of gudeg obviously sells krecek. Oseng-oseng mercon is Yoyakarta’s spicy food that tests your guts. It is made from beef tetelan (meat adhering to bones) which is pan-fried with seasonings and a lot of cayenne pepper. Thus what characterizes oseng-oseng mercon is its super-spicy flavor. Oseng-oseng mercon is served with hot white rice. The lovers of oseng-oseng mercon are those who can stand with super spicy flavor. Although they are panting, eyes bulging, sweat pouring, they seemed engrossed in the delights. Yogyakarta’s most famous oseng-oseng mercon is Oseng-Oseng Mercon Bu Narti. It is located at KH. Ahmad Dahlan Street, Ngampilan, Yogyakarta. Opening hours is 5 pm – 11 pm. The price is around Rp 15,000 per portion. 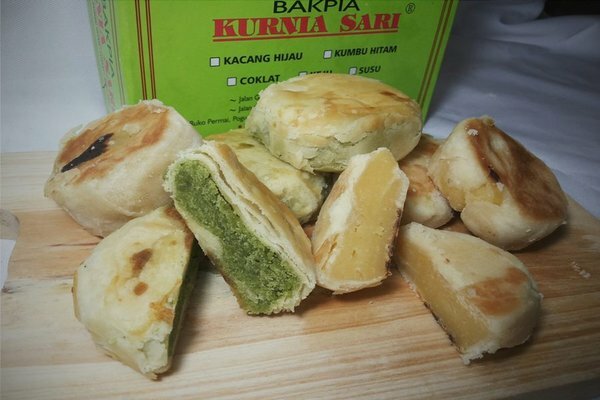 Bakpia Pathok is a snack that is popular as a typical souvenir of Yogyakarta. It is made from the mixture of green beans and sugar wrapped in flour. Bakpia pathok is a special culinary, it is a combination of Chinese culture and Javanese culture. Currently there are various flavors of bakpia pathok. In addition to the green beans, there are cheese, pineapple, chocolate, tiramisu, green tea and cashew. Bakpia pathok is best enjoyed with a cup of tea. Bakpia Kurnia Sari, Glagah Sari Street, No. 91C, Warungboto, Umbulharjo, Yogyakarta. Opening hours is 8 am – 6 pm. The price is around Rp 37,000 per box. Bakpia Pathok 25, KS. Tubun Street, Blok NG I, No. 504, Kadipaten, Kraton, Yogyakarta. Opening hours is 8 am – 0 am. The price is around Rp 30,000 per box. Green bean porridge is an inexpensive food that is popular among young people. A bowl of green bean porridge consists of green beans, black sticky rice and coconut milk. The porridge has a soft texture and its taste is savory and slightly sweet. If you have a sweet tooth, you can add condensed milk as a topping. There is also a cold version in which ice cubes are added to the porridge. A sheet of bread can also be added to give extra calories. 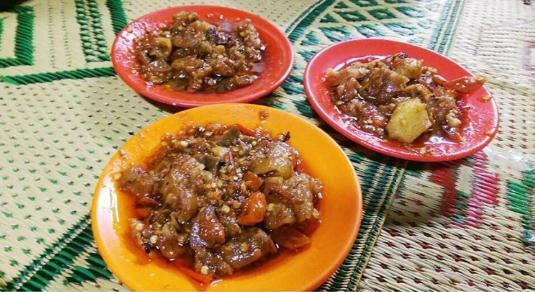 The most famous seller is Burjo Murni which is located at Tunjung Baru Street, No. 1 A, Gondokusuman, Yogyakarta. The price is around Rp 5,000 per portion. The stalls of green bean porridge are easy to find in Yogyakarta. For young people, especially college kids, those stalls could be an alternative to unique cafes in Yogyakarta. Wedang tahu is a light meal that is perfect for your breakfast. A bowl of wedang tahu contains silk tofu (made from soy essence) and warm ginger sauce. Wedang tahu has a unique taste, a fusion of soft texture, savory taste, sweet taste and warm sensation of ginger. In addition to warm the body, wedang tahu also has benefits to improve endurance and relieve flu symptoms. You should try the best wedang tahu at Wedang Tahu Bu Kardi on Kranggan Street, No. 75, Jetis, Yogyakarta. Opening hours is 6 am – 1 pm. The price is around Rp 6,000 per portion. Es Buah PK is Yogyakarta’s legendary brand of ice fruit. It has been around since 1973. A bowl of ice fruit contains jackfruit, black cincao, young coconut, avocado, chocolate milk, syrup and shaved ice. Its sweet taste only comes from Es Buah PK’s home-made syrup. 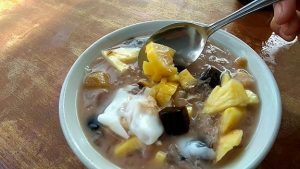 The freshness of Es Buah PK is best enjoyed during the day or as a dessert. Es Buah PK is located at Pakuningratan Street, Cokrodiningratan, Jetis, Yogyakarta. Opening hours is 10 am – 6 pm. The price is around Rp 8,000 per portion. Wedang ronde is a typical snack of Yogyakarta that is suitable to be enjoyed at night, especially in the rainy season. Ronde is made from a mixture of rice flour and brown sugar, usually colored pink and white. 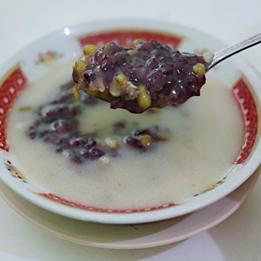 In a bowl of wedang ronde, ronde is accompanied by nuts, fro, corn, sago, bread and ginger sauce. 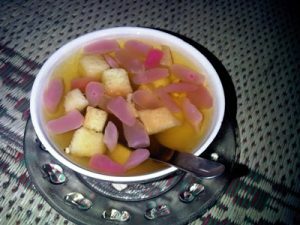 Wedang Ronde is a snack for all social classes, from the president to the common people. Enjoying wedang ronde is the best way to blend with the life of the people of Yogyakarta. It is quite easy to find wedang ronde. There is a row of wedang ronde sellers in Malioboro area ( one of popular shopping streets in Yogyakarta). 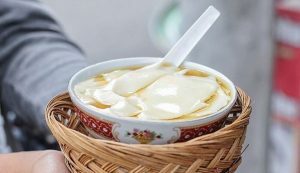 Nonetheless, you should take a stop to try a few well known wedang ronde. Wedang Ronde Mbah Payem, Kauman Street, Gondomanan, Yogyakarta. Opening hours is 5 pm – 0 am. The price is around Rp 5,000 per portion. Wedang Ronde Lik Dhie, Dagen Street, Gedong Tengen, Yogyakarta. Opening hours is 5 pm – 0 am. The price is around Rp 5,000 per portion. Cenil is a snack commonly found in Yogyakarta’s traditional markets. Cenil is made of starch or sago flour dyed red, green or yellow and sprinkled with grated coconut and a little bit of liquid brown sugar. Cenil has a chewy texture and sweet taste. It is served on a banana leaf, giving it a traditional feel. Cenil can be found in front of Kranggan Market, Diponegoro Street, Yogyakarta. Cenil is sold from 6 am – 11 am. The price is around Rp 2,500 per portion. Fried locusts are unusual snack. But surprisingly, they are snack commonly found in Gunung Kidul, one of the regency in Yogyakarta. 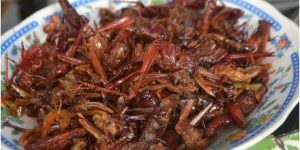 The fried locusts have savory taste, crispy texture, high protein and low fat. Fried locusts come from wooden locusts that are found in fields or rice fields. The people of Gunung Kidul serve fried locusts as side dishes and sell them as typical souvenir of Gunung Kidul. Fried locusts are sold along the road to Gunung Kidul, Yogyakarta. The price is around Rp 25,000 per box. Tasting fried locusts could be one of cool things to do in Yogyakarta. That’s all guys. Expand your culinary treasures. You must try local foods in Yogyakarta. They are delicious and affordable.